Document, Facts About The Order Of Sons of Italy of Ontario Mutual Benefit Society, by Rev. Libero Sauro, undated, two pages. 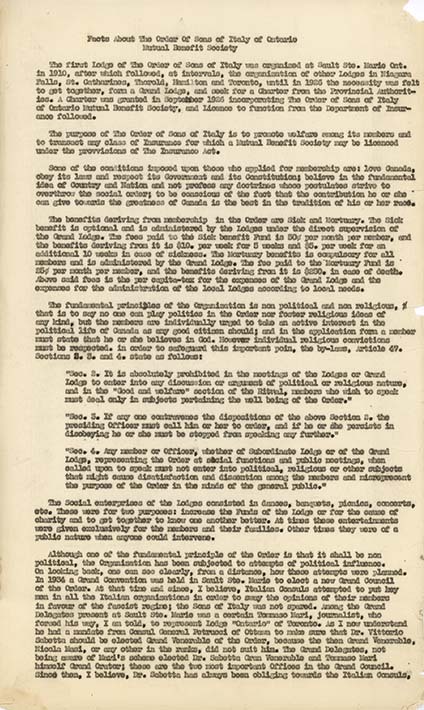 This document appears to be created in 1941 after Sauro's release. For content, see transcript.